Welcome to anyone visiting from Giveaway Day at Sew Mama Sew. Please take a look around, as I have many quilting tutorials, free patterns, and inspiration. If you are one of my regular readers, thank you. Also, I recommend checking out Giveaway Day. There are wonderful blogs to visit and fabulous prizes to win. I aim to please, so I have assembled an incredible selection of prizes for Giveaway Day. The package one lucky winner will receive includes two Cuddle Charms, two packages of Blanket Binding, and the Cookie Cutter pattern. Because one can never have too much fabric, I'm including a green metallic from Northcott, two mini charm packs of Poems From Pebbles by Moda and a fat quarter of Tim Holtz's Eclectic Elements. Notions are fun too, so how about a sewing gauge, Nectar Pin Packet, some TrueGrips, a pack of Frostings pre-wound bobbins by Superior, a Sewline Glue Pen and a pack of Micron sigma pens? An if that wasn't enough, I'm throwing in a charm pack of Wyndham's Cascade, a Patterworkz Design Studio pattern and Stack Four Runners. While we at it, I'm going to sweeten the deal with three patterns by Painted Pony 'n Quilts. Now that I've got your attention, go ahead and enter! I love tutorials, how-to's, how-not-to's, & lots of pictures. Thanks. I love tutorials as I do not have quilting friends close by and so the blogland is my source of learning new things. 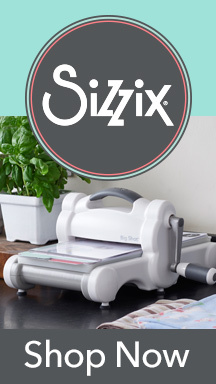 Wow this is a great giveaway and what a nice Christmas present to any quilter. Great giveaway! I'm a big fan of tutorials (techniques, new blocks, etc.). i love good writing, and photos of projects - great inspirations! Like everyone else, I love tutorials. I know how time intensive they are though! I love a mix of sewing & family life (kids, pets, cooking, etc). I enjoy tutorials, but I really like 'process' pictures. Those pictures that show how someone made their decision. What were their choices? How did they come to put things together. And I love to see how someone "fixes" a mistake and turns it into a design decision. Tutorials are nice, but I really like to see the great projects people are working on. Thanks for the chance! I love pictures. Great pictures of new fun projects are what keeps me coming back. I love blogs that post step-by-step project instructions of all kinds! Tutorials and tips are what pull me in. Inspiring projects too. I love a great tutorial! Always handy! wow! what a great give away! I like seeing pictures of projects that are being worked on, the whole process. I love to see sew-alongs and free sewing/quilting tutorials - therein lies the desire to revisit and follow along regularly! I enjoy tutorials the most! With lots of photos to help me make the project! I love tutorials with LOTS of photos. I especially love to hear helpful hints along the way. Yep, when you said 'massive' you meant massive on this giveaway! Tutorials, how to fix mistakes, and color ideas! I, also, love tutorials and videos. I love lots of pictures of the things everyone is working on. I get so much inspiration from the things they make. Thank you for the fantastic giveaway. I like to sew children's clothing. I have 4 children and 3 are girls! I love pictures showing how other people sew, even this that seem simple but different people do differently (like pins vs clips, ironing seams the same direction or apart, etc)! I, too, enjoy tutorials. I enjoy making quilts & have for over 30 yrs and have found tutorials that have taught me a new technique or two. Thank you for such a generous giveaway! Happy Holidays to you! I like to sew bags, but am venturing into quilting so I like technique posts on blogs. I enjoy reading blogs that have tutorials, but that also talk about the writers day to day life. Everyone has a story and things that go on in their lives that are worth telling. While I love any kind of sewing, and enjoy reading about others who have the same passion and what they have to share, I enjoy reading about the real person, too. Does that make sense? Right now I love following tutorials on Sew Mama Sew, mostly sewing bags, totes, koozies. That will change as the season progresses and I need clothing for me or to sew for friends. I love tutorials that are very simple to follow, with lots of pictures. In particular, things i'm not good at, like sewing zippers and velcro! Really inspiring quilt pictures get my attention! Tutorials are always interesting, too. I like things that I can do with my moderate skills and super fragmented time. New fabric lines and pretty things made from the fabric! I love tutorials and blocks of the month. Thanks for a very nice giveaway. I enjoy a good tutorial but for everyday reading I like seeing finished projects or works in progress! I love tutorials, projects you are working on, lots of pictures and anything else you like to share. I like quick and easy projects and tutorials. This is the most awesome giveaway. I like nice photos and tutorials but most times it the personality that comes through in the writing of the blog that makes me a regular reader. What tends to make me stop following a blog is if there is a weird compatibility issue that I never get a reply when I leave comments (I think the authors don't get notified of them - I get an email saying that my comments failed). I like the connections I make with other bloggers and if there is zero back and forth, I'm not compelled to keep up with that blog. Tutorials are the main thing for me. 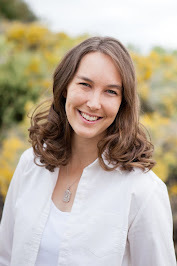 I also love getting to know the blogger - so some off topic posts are always fun to read. What an awesome giveaway, Yowza! I love quilting, machine and hand piecing, embroidery and applique. Wow, you are very generous! I am now a new follower. I was busy looking around and almost forgot to come back and enter :) I like blogs with tutorials but mostly just love looking at finished quilts. I like "real" people too, ones that occasionally can share that their lives aren't perfect either. Thanks for the chance to win great prizes! Detailed tutorials are always a pleaser ! Yes you definitely have my attention. You have captured all of our little quilting hearts. We all want to win your huge giveaway. This is like a quilter's dream come true. I can only imagine what it would be like to receive a package like this one in the mailbox. 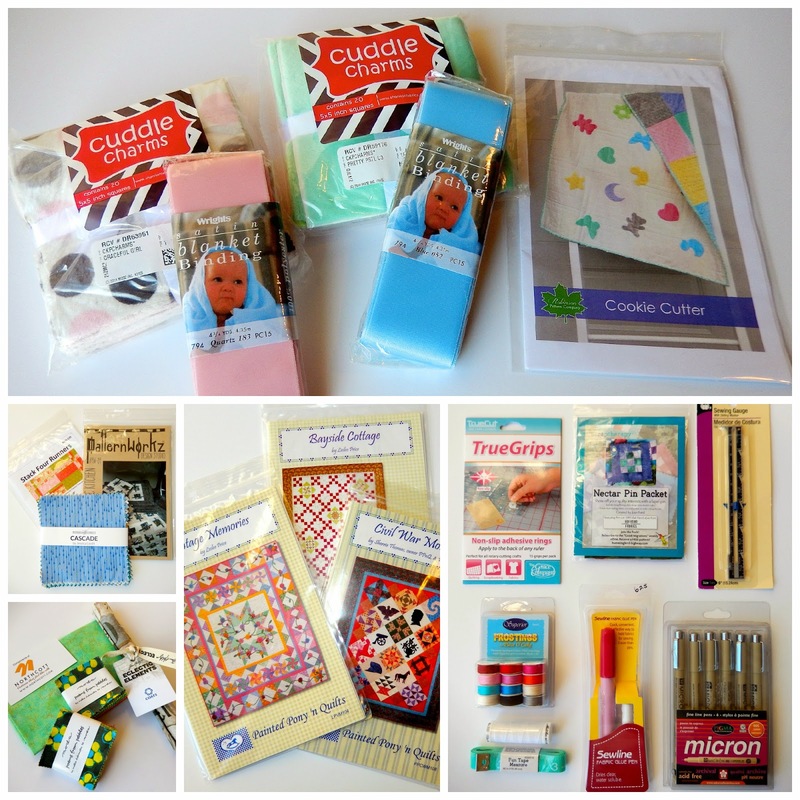 Thank you for being a part of the Sew Mama Sew giveaway and the chance to win this huge giveaway. You are one loving generous person. Merry Christmas to you. I love tutorials and finished quilts, as well as, little glimpses of life where you are. I make quilts, and love any blog that writes about the process of creating. I especially like when they share tutorials or even tips on how to accomplish a look or block, etc...I am a self-taught quilter, and all shared knowledge is good! Thanks for the giveaway! I like visiting blogs to learn new techniques, or if a projection catches my eye! I do most of my sewing for children, apparel and accessories and toys. I love free tutorials . Lots of projects, lots of inspiration, sprinkled with what's going on with you so I get to know you. I love tutorials for guidance and inspiration. Giveaways are always so much fun!! Tutorials--especially on free motion quilting. Tutorials with pictures I can follow are always good. Lovely giveaway,thank you for the chance to win it.This is huuuge,best giveaway ever,so generous of you.Love tutorials with lovely photos.I am in the making pincushion for a swap.Have a lovely week. Tutorials for beginners on bag patterns or quilting. 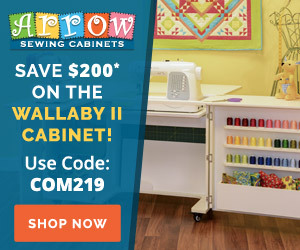 I love your blog and your patterns on craftsy! Thanks for the giveaway! I love to see photos of beautiful quilts and other sewn items. And I appreciate patterns and tutorials. I have design a couple quilts including a double wedding ring and over 1000 piece of log cabin quilt. Inspiration - tutorials, clear photos, beautiful, colorful, quilts. Thanks for the chance to win. I love to view tutorials of new quilt blocks, quilt designs, patterns, tips learned along the way. I love to see quilt projects for inspiration. This is one awesome giveaway package you assembled. Hello from Minnesota! I love sewing blogs but must admit that the pull of Instagram has interrupted the flow somewhat. An IG reminder helps me link back up with blogs and tutorials and Quilt-Alongs definitely pull me back regularly. The blog content that keeps me coming back is fresh ideas and inspiration, tips and tutorials. Sew along and swaps are fun too. Tutorials, especially accessories for adults. I like to sew anything ! Thanks for the great giveaway. Wowweee cannoli what a giveaway. I love quick easy tutorials & hints on making sewing easy. I'm a newbie quilter so my seam ripper gets quite the workout. I like to visit blogs that inspire me to create, bake, and improve myself. I also enjoy bright colors. I love a good sense of humor in a writer as well as someone who makes both scrappy and line-focused (all out of one fabric line) quilts. Step-by-step tutorials with pictures are very helpful. Hi- I love detailed tutorials for fairly simple projects as I am still an intermediate seamstress/quilter. That is how I find the majority of blogs I follow. good pictures, tutorials, good tips, I already follow you, so you must be doing something good, lol. Pretty photos is enough to draw me in! I like tutorials and sew-alongs. Love Sew-Alongs! Good pictures and inspiration. I like occasional tutorials and I love seeing what others have sewn. The blogs I read most are the ones that I feel most personally connected with. I like reading blogs by people who sound like real people. I love seeing projects and learning new techniques. free tutorials and printables are always great!!! Especially great for pinterest!! 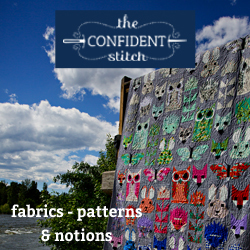 I hang around blogs that use fabric combinations I like - honestly, it gets me every time. Doesn't matter if things are being made that I don't care about - the colors draw me in and inspire me to do things myself! If I see modern quilts that look easy & quick, I'm more likely to follow the blog than if it's the more traditional follow-a-pattern type quilts. Thanks! My favorite sewing related blog content is "tips 'n tricks" type stuff. I love learning something new, understanding a technique better or finding a better way. I love lots of beautiful, detailed pictures! I love tutorials and sew alongs! Also step-by-step projects with lots of pictures. Oh my goodness this is an amazing give a way. thank you so much for sharing all of this. 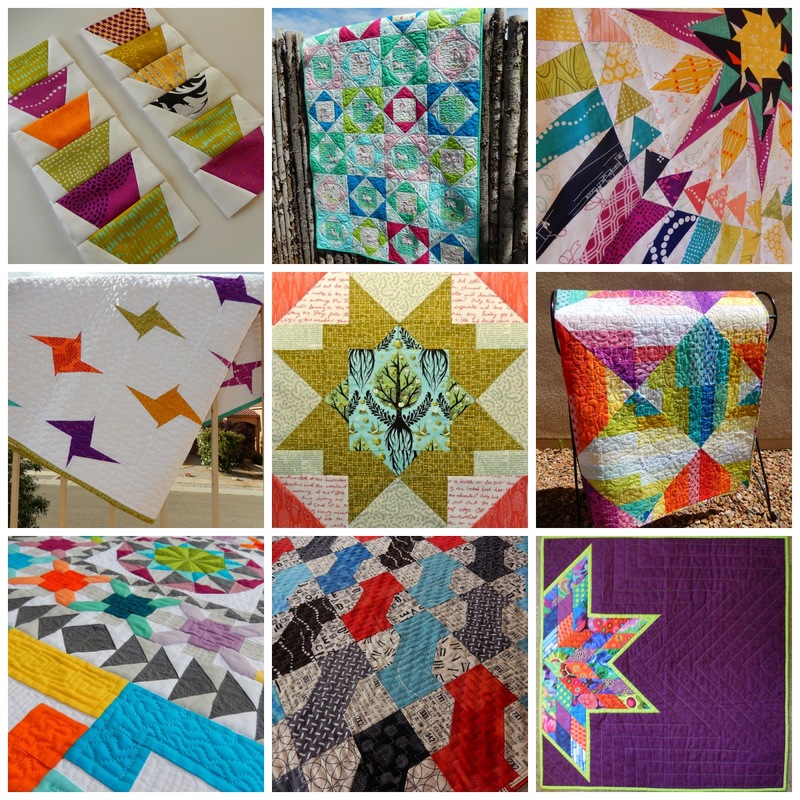 I really like to follow blogs that are centered on quilting. they have tutorials that are easy to follow with pictures, some have BOM free with something about the block or a thesis. I like upbeat and positive blogs I like to see how the person is doing and they freely reply with answers to my new questions. First, I prefer a blog that posts high quality less frequently rather than a blog that posts every day with lower quality stuff. 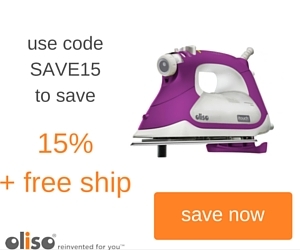 I like how-tos, links to new fabric lines, posts about great deals on sewing/quilting tools, and inspiration. I like to see good, easy to follow tutorials. Thanks for the awesome giveaway! I love tips and tutorials and i love to see finished projects ! I love your how-tos and tutorials! Thank you! I love step-by-step tutorials with lots of pictures. tutorials for smaller projects such as runners, purses and all that good stuff. I love tutorials and handy shortcuts to make projects easier. I love to find tutorials and patterns. I really enjoy sewing and find it to be quite relaxing. I really love tutorials and patterns of all sorts of things. Thanks for a fantastic giveaway! I like blogs where there are regular posts...at least once per week. It doesn't matter what the content is usually. I like to get inspiration from other peoples projects. An occasional pattern or tutorial doesn't hurt either. I'm new to sewing so I enjoy tutorials. My favorite blogs post not too much, once or twice a week, and offer interesting reads about sewing. Mainly quilting! Tutorials, tons of pictures and a little about the blogger life so it feels more like a friend than someone I've never met. I have big sewing ambitions but with two small kids usually end up making quick projects. I like to see tutorials for things that I can get done in an evening or two. I enjoy sewing totes bags for charity. I make mostly quilts, but would like to branch out into bag making. I love tutorials, and just projects. I also like learning about the person. I love video tutorials. It's nice to see someone actually teaching it. I like consistency and pretty pictures. And few spelling/grammar errors. I like pretty things and a genuine voice. Good photographs are a plus too. I love blog posts about the process of creating a quilt - everything from the initial inspiration through the fabric selection, choice of pattern or design of an original pattern, and the techniques used to create the finished product. I also love tutorials! Thanks for the giveaway! I love tutorials with photos, especially tutorials for quick gifts. fabric art techniques, and artful clothing, Thanks for the chance to win! I also like blogs on modern quilts, their creation story and final outcome. Thanks! I like to read and participate in monthly QAL. Thanks for the chance to win! 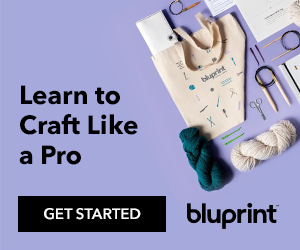 I am new to sewing so I like blogs that give in depth tutorials. I am pretty easy to please, I love Quilts, clothing, bags, or just about anything. I love technique tutorials such as zippers, and binding because these things still scare me. By the way I love your PAC Man Ghost Quilt. I look forward to your posts, and I am glad to have found your blog. Have a great day! I usually read blogs that have good tutorials. Ones with lots of photos! I love to sew kids clothes! Wow, what a giveaway! Great items you have! I love to sew....anything but clothes! I paid my dues in high school when I made all my own clothes and on until about 25. But after that, I was sick of it and when my daughter (in 6th grade) said "Mom, can I have a store bought dress for picture day?" I knew it was time to stop the clothes! So Ipicked up sewing everything else.! Right now, I am really into quilts tho...to the point my kids have said...."mom...no more quilts!". I still love them!...the kids... well, the quilts too but you get what I meant! tutorials, pictures, stories about personal inspiration, experiences, great quilts. Thanks. Tutorials, hints, tips and lots of photos. I like in progress/finish photos, tips and tutorials. Stellar giveaway, thanks for the opportunity. I love reading about things people make, and seeing their beautiful finishes. Thanks for the chance to win! Wow, what a generous giveaway. I like tutorials. I like looking at lots of pictures! I love quilt pictures! and some bags and useful sewn items, too. And love tutorials! I like quilting tutorials and quilt a longs! Thanks for the chance to win! I like the quilt alongs, block exchange and how to make its. I must admit that my blog reading has reduced somewhat lately. I used to read my feed before bed each night, but I've just been too tired lately. When I do sit down to catch up, I find myself paying more attention to the finished projects posts and tutorial posts. I love to see pretty eye candy and learn how people make things differently than I do. I hope this helps. Tutorials and ideas! Thanks for the generous giveaway. I love to check out and read new tutorials, and I also love to see progress pics of something being made. I follow you with feedly and blog lovin' and I look for those topics when I am reading either reader. Happy holidays! I sew quilts; I like blogs that reflect the blogger's personality and life and are well-written, even if they are very different from my own style. I like blogs with good design and readability. I like blog writers that care about grammar and inject humor into their writing. I like to see creative ideas, applications for those ideas, well written tutorials with pictures that even a beginner can follow. Too many tutorials leave out steps or don't explain completely or illustrate what they are saying. I wouldn't mind helpful info on FMQ. I want to learn to do that. always tutorials! Thank you...amazing giveaway! I like tutorials, I like blogs that are not businesslike. I like discussion on process, and tips and tricks, and of course beautiful projects. I like quilt projects for true beginners (ME). I like to sew gifts like clutches, pouches, and totes. Thanks. Pictures are my thing - you don't need tutorials all the time but just pictures of what you're working on or round-ups of things you've found around the internet that are interesting. I like blogs that have a lot of tutorials or quilt alongs. I like the step-by-step and learning more than the finished goods, though I honestly need to see bright/fun finishings in there too! I love seeing finished projects, however I love seeing the process like showing a pattern and a stack of fabrics. I also love sewing done for children. I love t o read tutorials with lots of pictures. I love tutorials, but not videos. I love the tutorials that have CLOSE UP pics. I am deaf, and a lot of the videos aren't close captioned. I don't blame the videos. Google/youtube has a beta program that is garbage, and it's labor intensive to hand type the captions. Some have open captioning= transcript on the sidebar. I also like quilt alongs, that can be live, or come as you are, when you can. And hey, how doesn't like a giveaway everyone in a while… chocolate etc…. I'll take a coupon that excuses me from life so I can quilt for 2 hours uninterrupted….. (I hear angels and heaven opening now) :) Have a wonderful holiday and thank for participating in the bloghop, especially during this busy time of year!! I like tutorials & I like really different color combinations works. I'm inspired by new color combos. As a beginner I love tutorials - and just seeing the wonderful projects others do. Links to patterns is helpful as well. I like tutorials and lots of pictures! Thanks for the chance to win! This is an amazing giveaway! I'd like a blog that has creative uses for scraps. I love tutorials and free patterns! Thanks for the prize pack! it's awesome! I like challenges. I don't even need to have anyone else see my work, I just like a challenge to start me in a new creative direction. Show me a new technique and dare me to apply it to my own project and I am in! Holiday quilts! I would love to make a mini-quilt for every holiday!